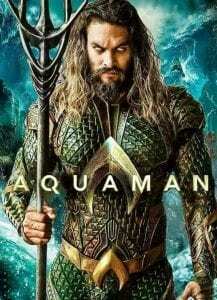 Aquaman has grossed over $1 billion worldwide with its successful run at the box office. While the movie released December 2018 nationwide, it’s four to five week run coupled with its overseas showing has the film still at the top of the list for movie-goers. It’s PG-13 rating and the fact it’s part of the DC Universe is one reason it’s done so well. The story tells of a beautiful, underwater city, Atlantis, now ruled by a power hungry character named Orm. With his army, he plans to take over the rest of the oceanic people and then the surface world. Orm’s half brother, Aquaman plans to do all he can to preclude him. The movie has a DEFINITE over abundance of fighting scenes and an extremely slow plot. Even though there was a ton of action and charming characters, the overall plot still had its dull moments. In fact, there were a couple of times I was on the verge of a nap. But what the movie lacked in sophistication is made up in Aquaman’s charming and fun personality. The visuals were also stunning and extremely captivating. Taking everything into account, I still think it’s worth the watch. If you’re into super heroes you’ll most likely enjoy it. If you haven’t seen Aquaman, movie buffs can rent this film through DVD.com, a Netflix company.